Jimmore International Corp. is being an importer and exporter of cutting tools and tools systems for manufacturing into and from Taiwan since 1987. Our goal is to continuously introduce the best products from Taiwan to worldwide and bring the latest technologies to local customers. 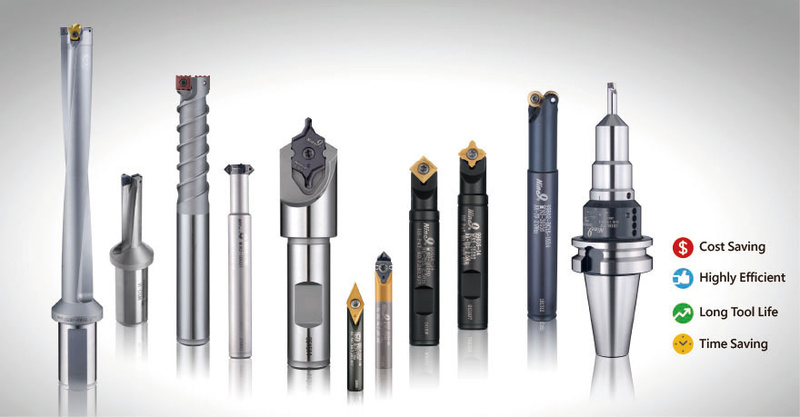 NINE9 is our popular niche products for cutting tool industry and adopted in various industrial field. "Always Better" is our vision that we're dedicated to pursue all the time, so we always strive for providing the correct products and service quality, maintain stable delivery promise and securing the best before/after sales services, as our ISO 9001:2015 certificated "Quality, Delivery, Service ". With over 30 years efforts and developments, we're so proud that we're acknowledged a good reputation and enjoy being a bridge to connect all partners and customers as a family in worldwide. – words which aptly describe all Nine9 tools. 99 is the largest 2 digit number, indicating maximum product endurance. Nine9 tools whilst being ”special” in the indrustry, but there are standard in our product range. NC Spot Drills, i-Center_indexable center drill, Engraving tools, Chamfer Mill, Deburring Tools, Indexable drills, Boring tools, NC helix drills_helical interpolation, Power Mill. Those established Nine9 as a market leader and innovator in the cutting tool field.